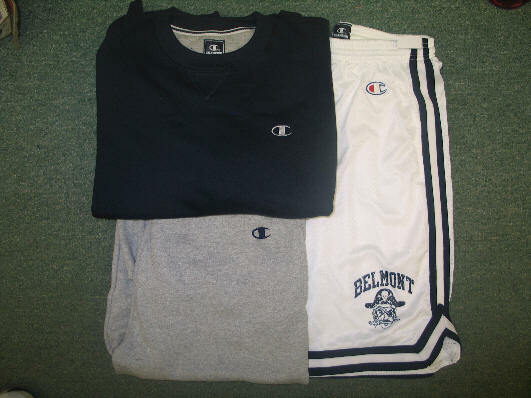 We carry the #1 brand in athletic wear, CHAMPION. From heavyweight sweatpants, 80/20 9oz, lighweight sweatpants, swearshirts, mesh shorts, cotton shorts, hoods and full zip hooded jackets. We also do Custom/Team orders with the Champion brand, call for detail.